Know anybody who loves getting constructive criticism? Neither do we. But it’s time to start getting comfortable with discomfort. Here’s how to master the art of receiving feedback without taking it to heart. Just because some managers might not like to give feedback, doesn’t mean you don’t need it (and secretly want it). So speak up. Here’s how to be proactive and ask for specific feedback instead of dreading your yearly performance review. Cringe. 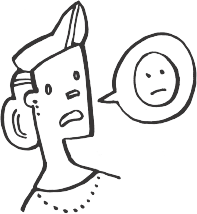 43% of managers said giving feedback is “stressful and difficult”. (Not good, Mav.) Master these tips for giving actionable feedback— so when you’re the head honcho it will be NBD.